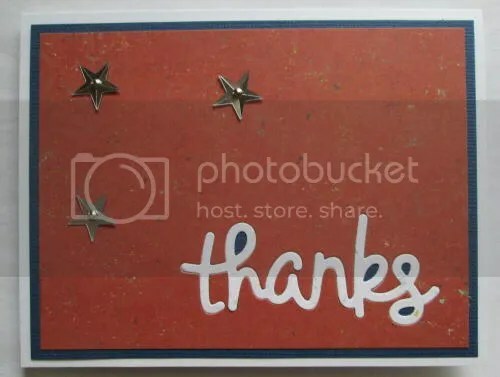 The August Our Daily Bread Designs is up at Operation Write Home – Make a card that includes stars. GP White, American Crafts Blue, We R Storytime – Pinocchio. Xerox Flecs Cover. 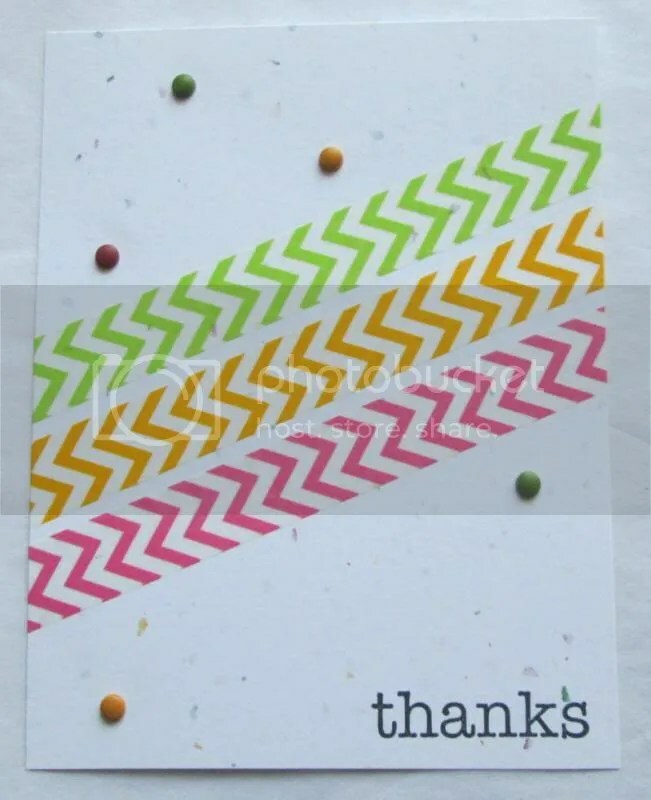 Lawn Fawn Scripty Thanks. Recollections Brads, no id sequins. The challenge this week at Shopping Our Stash is #155 – Something Soft. I went with felt for the heart. 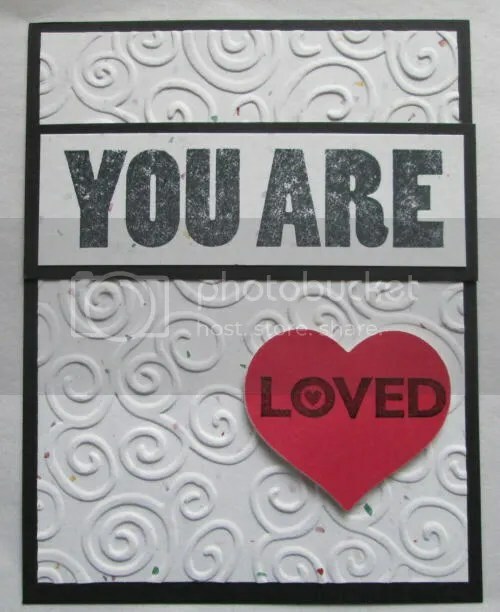 This also qualifies for the Our Daily Bread Designs June challenge at Operation Write Home – Use Die Cuts or Punches. 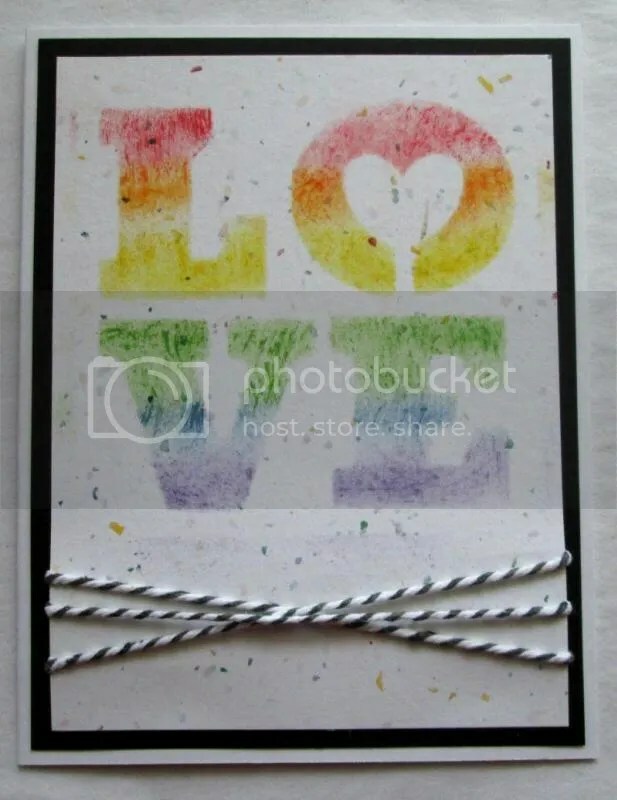 I used the Sizzix Sizzlit Heart #2. GP White, Recollections Black, Xerox Flecs Cover, Red Felt, Momenta stamps in Memento Tuxedo Black. 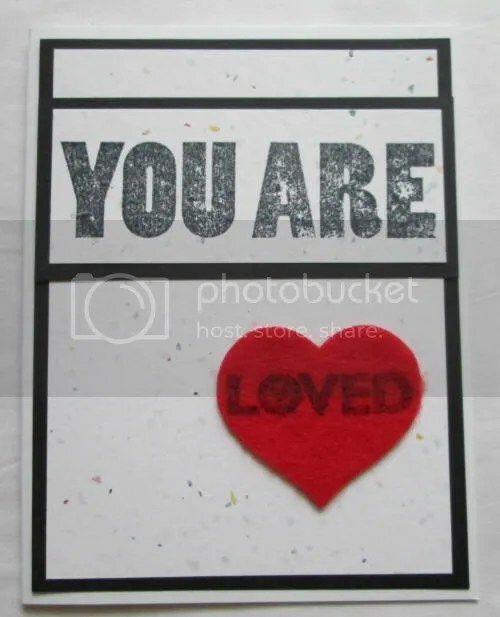 The Our Daily Bread Designs challenge this month at Operation Write Home is Embossing – either Wet or Dry. I decided to use both. TPC Black Linen. 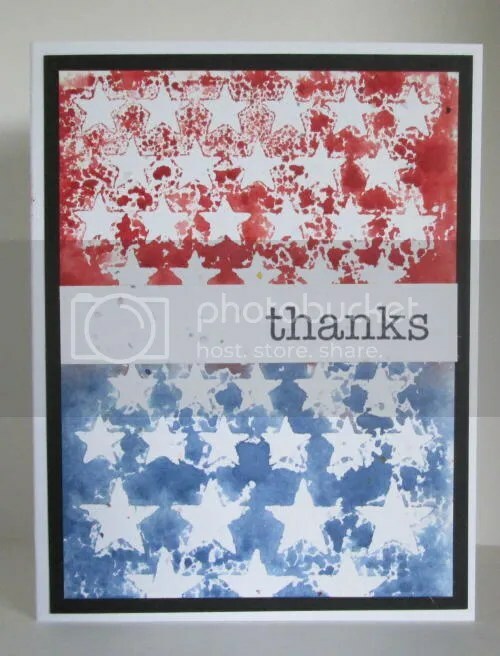 Xerox Flecs Cover, Colorbok Red, Sizzix Tim Holtz Embossing Folder. Momenta stamps in Memento Tuxedo Black & Versamark Black and Hampton Arts Embossing Powder. The Precious. Today’s card is a combination of two challenges. 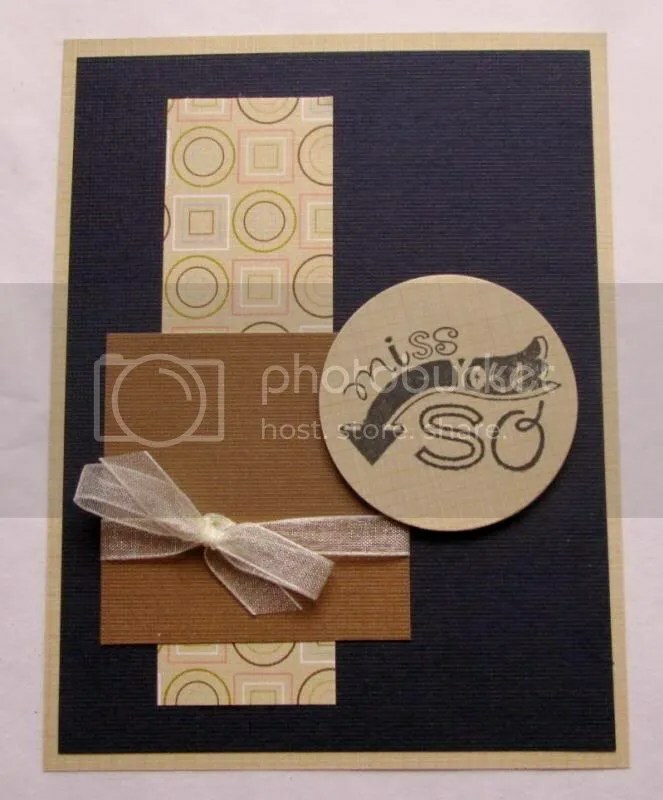 Challenge 1 is this week’s Shopping Our Stash #146 – Pieces of April – use paper piecing in your design. I pieced the honey in the image. Challenge 2 is the April Our Daily Bread Design Challenge at Operation Write Home – Insects – include insects in your design. My stamp has tiny flying bees. 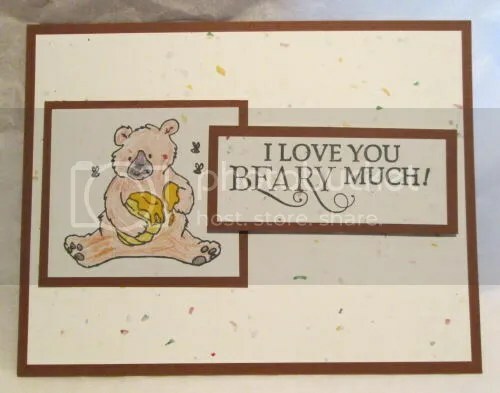 Recollections Brown, Xerox Flecs Cover, Colorbok yellow, Fiskars Beary Fun in Memento Tuxedo Black. Stampin’ Up pencils, The Precious. Today’s card is a duplicate of yesterday’s with different brad placement. Part of me wants to add a 3rd brad to the bottom but I know that embellishments should be done in odd numbers. This also fits into the March Our Daily Bread Designs challenge at Operation Write Home – Thank you. Xerox Flecs Cover, Pick Your Plum Washi, Recollections Brads, Doodlebug in Memento Tuxedo Black. 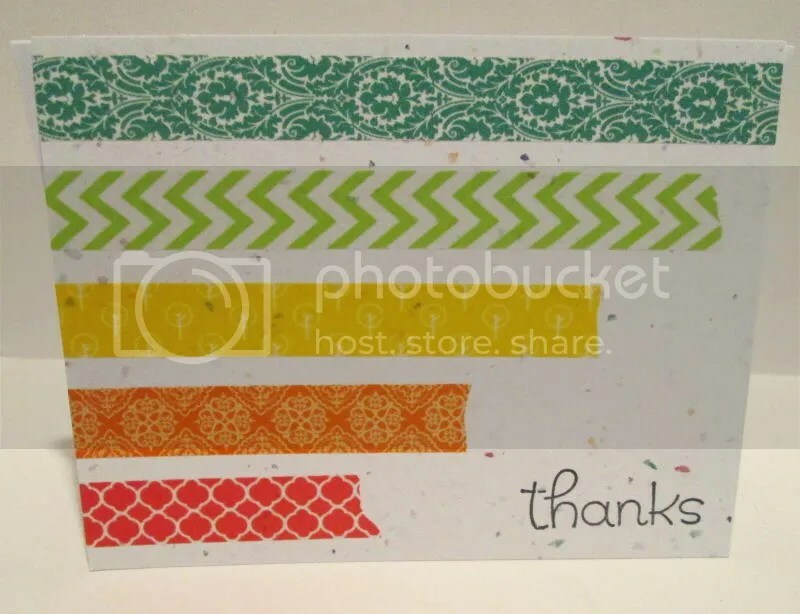 The January Challenge from Our Daily Bread Designs at Operation Write Home is Stripes. 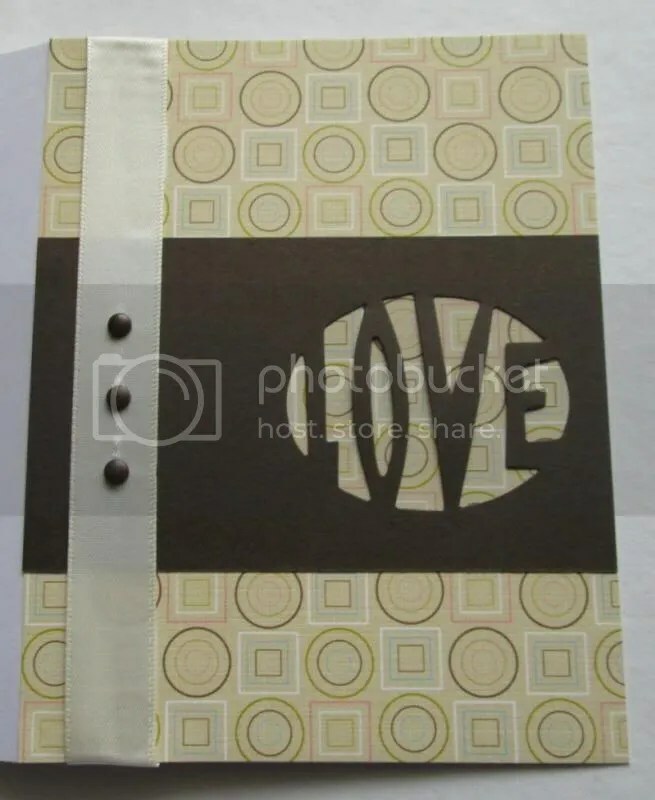 Xerox Flecs Cover, Pick Your Plum Washi, Doodlebug in Memento Tuxedo Black.